Offering you a complete choice of products which include inconel sheet, inconel erw pipe, inconel seamless tubes, incolny erw pipe, high inconel seamless pipe and incoloy seamless tubes. We are an acclaimed name engaged in offering our precious clients a superior quality range of Inconel Sheet. This sheet is manufactured using optimum grade raw materials and sophisticated technology in synchronization with international standards. In order to ensure quality, the offered sheet is rigorously tested on various parameters by our quality controllers. Keeping in mind the diverse requirements of our clients, we provide this sheet in various sizes and specifications and at affordable prices. 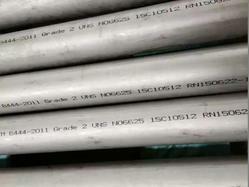 We offer the Electric Resistance Welded (ERW)Pipes that can be used for fencing, scaffolding, pipe lines etc. 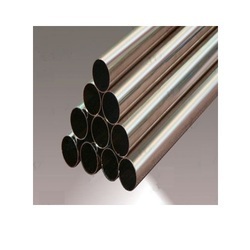 These pipes have a good strength, corrosion resistance, reform ability and toughness. We offer ERW Inconel pipes in different wall thicknesses, diameters and finishes. 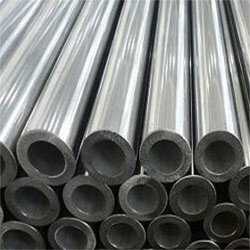 We are leading provider of a wide variety of good quality Inconel Seamless Tubes.Manufactured by our skilled technocrats using rotary piercing or extrusion method, these tubes can sustain high pressure and temperature. Available in various length and thickness ranges, these durable tubes can also be customized to suit specific needs and requirements of different clients. The Incolny ERW Pipe have higher applicability due to corrosion resistance, reformability, high strength and toughness. These tubes have become an indispensable aid in agricultural purposes, thermal powers, transports, extraction of water in collieries, structural purposes, hand pumps for deep boring wells etc. We have different clients and according to their requirement we offer ERW Tubes in suitable wall thickness and diameters.Our range of Inconel ERW tubes have high strength, corrosion resistance, deform ability and toughness. These tubes are widely used for agricultural purposes, extraction of water in collieries, thermal powers, transports, hand pumps for deep boring wells, structural purposes etc. Inconel ERW Tubes in different wall thicknesses and diameters as per the client's specifications are also offered by us. 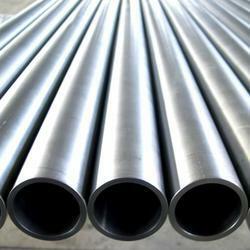 We offer a wide range of High Inconel Seamless pipemade of qualitative raw material procured from reliable vendors. Known for its high quality, durability and high utility these inconel pipes are widely used in various industries across the globe. We supply a wide range of precisely engineered stainless steel, duplex steel and high nickel base alloys pipes & tubes, made in compliance with international quality and safety standards. Our range comprises of stainless steel seamless pipes & tubes. Available in different dimensions & grades, these stainless steel seamless pipes & tubes are widely used in different industries like power, engineering, construction and many more. We offer products at highly competitive prices and deliver consignment within stipulated time. With the involvement of sophisticated technology, we are involved in offering a broad range of Inconel Round Bars. This round bar offered by us is specifically manufactured utilizing top grade material and highly modern technology in sync with the set norms of industry. The provided round bar is accessible in different dimensions as per the needs of our clients. Customers can avail this round bar from us at industry leading rates. Incoloy Sheets is a nickel-chromium alloy with good strength and excellent resistance to oxidation and carburization. 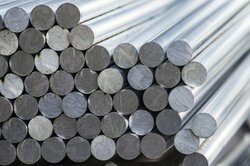 The alloy maintains stable structure during exposure to high temperature, therefore incoloy 800® has good corrosion resistance to many acidic environments. Incoloy 800H UNS (N08810) Incoloy 800HT UNS (N08811). Incoloy 800H and 800 HT are nickel-iron-chromium alloys. The alloys’ higher creep-rupture strength is the result of aluminum, carbon, and titanium contents. Incoloy 800 H and 800 HT is used in chemical and petrochemical processing, in power plants, industrial furnaces, and for heat treating equipment.